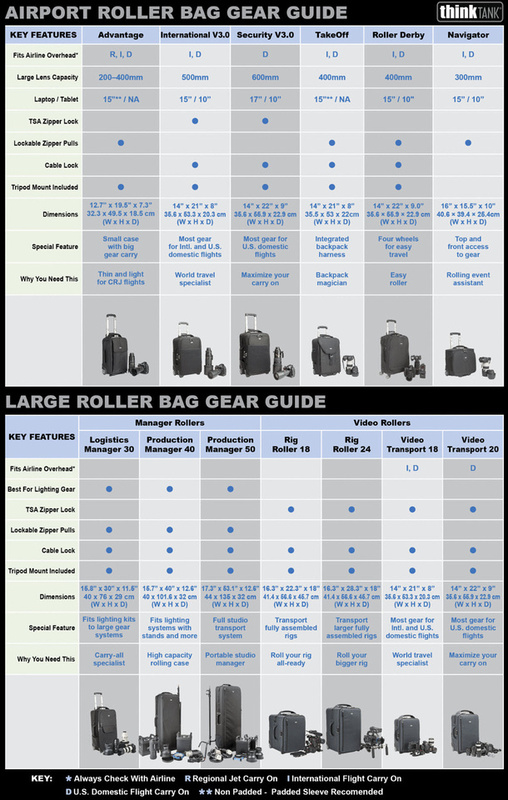 This is a cool bag because it offers the arm and shoulder saving rollers when you have the luxury to roll the bag, but you can pick it up and throw it on your shoulder when ground conditions (i.e., gravel, cobblestone, steps, etc...) prohibit rolling. 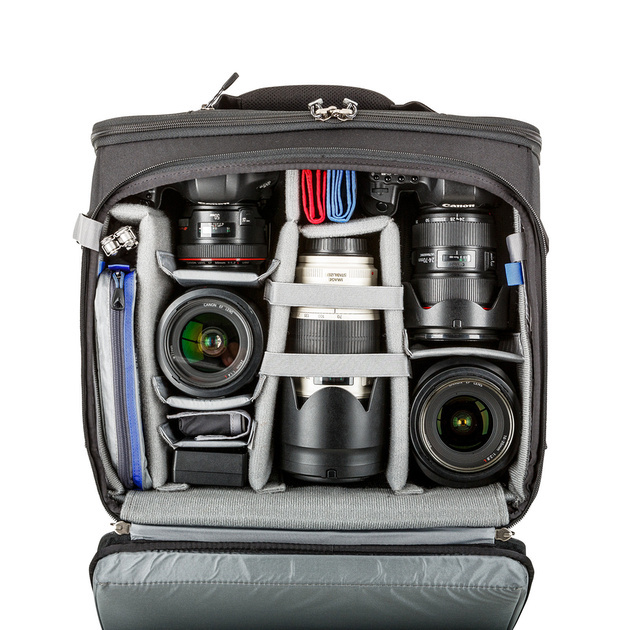 It's a small bag, but it can hold a surprising amount of gear. 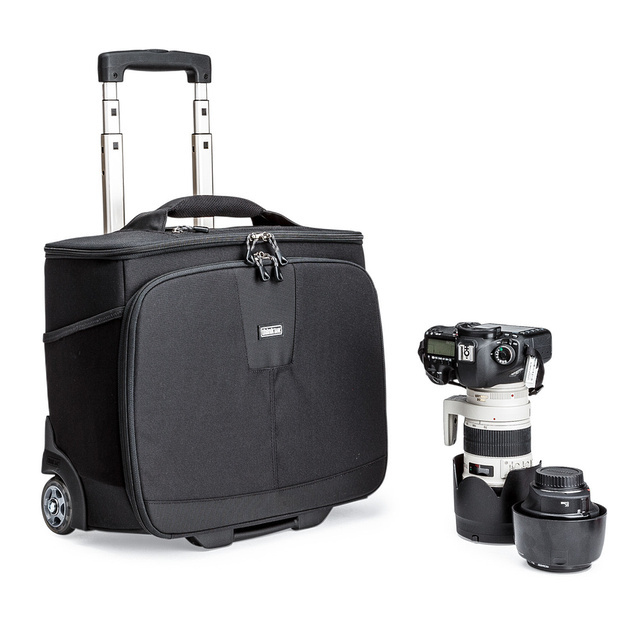 What's more, if you don't mind taking two bags (especially when you have a 2nd person travelling with you), you can use this as your day bag while having your full kit stored in a bigger bag. 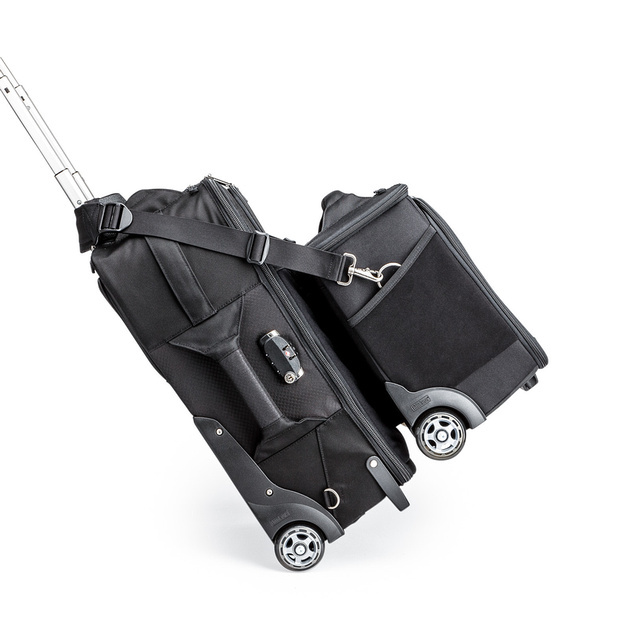 For some it will be the one and only bag you need and for others who can absorb the cost of a dual roller bag setup (especially those with travelling assistants) it offers that extra space you need while still fitting nicely in the overhead compartment of the plane. With excellent zippers, rollers and shoulder strap, I have no reservations about recommending this bag for those with a need for a bag of this size. 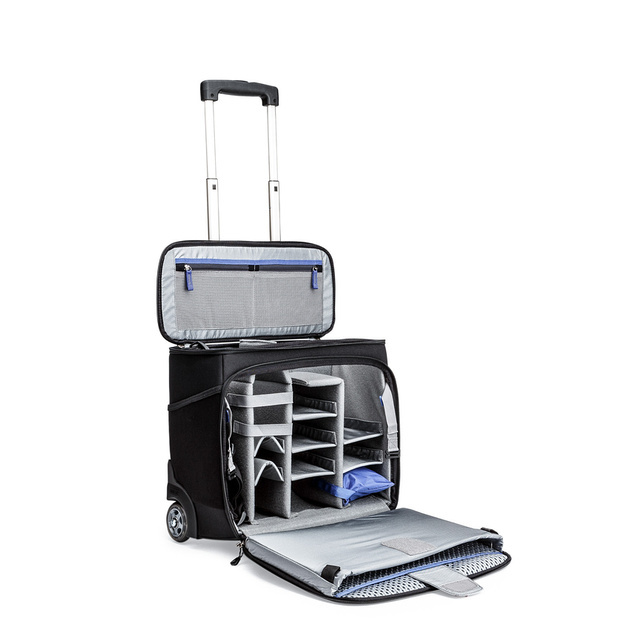 NOTE: When you use my links below and make a purchase for $50 or more you are eligible for a free gift at checkout. 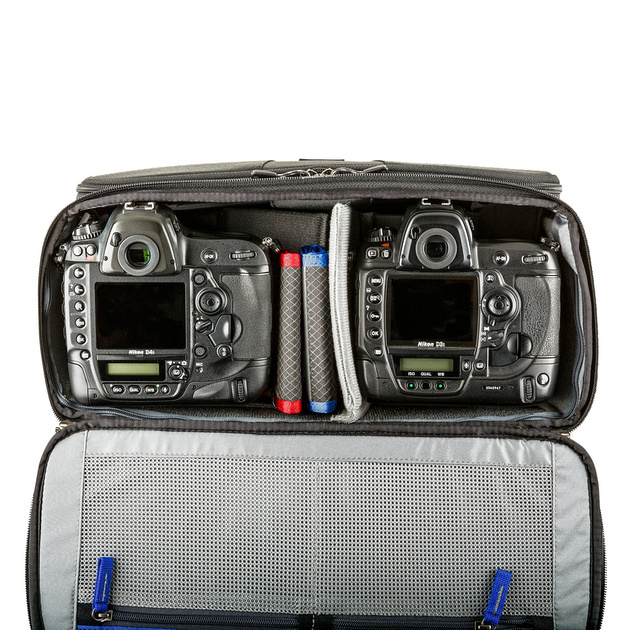 CLICK HERE to learn more or buy the ThinkTankPhoto Airport Navigator today.